There’s a little Corvette driver in all of us! 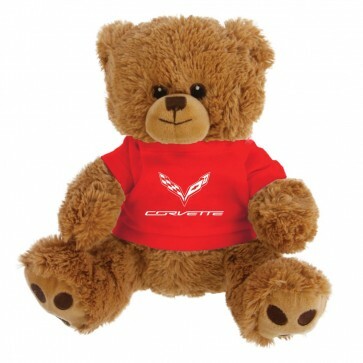 This soft 10” teddy bear, with shirt printed with the C7 Corvette crossed flags and signature is great for kids or a fun gift for any Corvette fan. With embroidered eyes, this is suitable for all ages.